Some speeches make you want to scream. Mark Carney’s latest is one of those. This misconception is usually the product of an initial success, with early progress gradually building into blind faith in a new era of effortless prosperity. He mentions the pre-crisis debt bubble, which ‘financial innovation’ and a ‘ready supply of foreign capital from the global savings glut’ made cheaper. Yet he never mentions central banks’ policies, which kept interest rates low over the whole period, or the fact banking regulation was the very reason behind the cheap credit supplied to a few particular sectors of the economy or also the fact that high saving rates in countries such as China mostly financed high investment rates in the same countries. No, this is due to private actors’ irrationality, who of course believed that this time was different. But Carney’s logic is faulty. Over the recent years, it is him, and his fellow central bankers, who have kept arguing that “this time was different”, and that we needed to maintain interest rates below the lowest levels ever recorded in human history. Beneath the new era thinking of the Great Moderation lay a deep-seated faith in the wisdom of markets. Policymakers were captured by the myth that finance can regulate and correct itself spontaneously. They retreated too much from the regulatory and supervisory roles necessary to ensure stability. That “markets always clear” is the second lie, one which gave rise to the complex financial web that inflated the debt bubble. In markets for goods, capital, and labour, evidence of disequilibria abounds. In goods markets, there is ‘sluggishness everywhere’. Left to themselves, economies can go for sustained periods operating above or below potential, resulting, ultimately, in excessive or deficient inflation. First, it is clear that Carney does not understand the dynamic entrepreneurship process that characterises a capitalist economy. Equilibrium does not exist, and markets are in constant fluctuations as entrepreneurs and investors try to identify and benefit from what they perceive as mispricings and profit opportunities (see Israel Kirzner). Equilibrium is at best a theoretical construct, and most economists (mainstream or not) who have studied entrepreneurship and markets know this. In short, the market is a dynamic price discovery mechanism. As a result, accusing markets of not being in equilibrium completely misses the points of having markets in the first place. If markets are in equilibrium, there is no need to act anymore. No need to come up with new ideas, create and invest. Second, he mentions financial innovations and their effects as if they had existed in a vacuum, independently of any sort of regulation incentivising their use and distorting market outcomes. But it would mean admitting that policymakers can be dead wrong. Possibly not the message he is trying to convey. More often than not, even describing the universe of possible outcomes is beyond the means of the mere mortal, let alone ascribing subjective probabilities to those outcomes. That is genuine uncertainty, as opposed to risk, a distinction made by Frank Knight in the 1920s. And it means that market outcomes reflect individual choices made under a pretence of knowledge. I have to applaud. Carney, a Keynesian, used Hayek’s Nobel speech title, to express the exact opposite of Hayek’s idea. 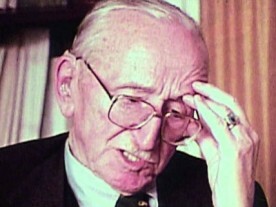 In his 1974 speech, Hayek explains that central planners attempting to control the economy were victim of a pretence of knowledge, because it was impossible for them to be aware of all the ‘particular circumstances of time and place’ (a phrase that he uses in most of its post-WW2 literature). Only the private market actor, who was in direct connection to his local market, could attempt to come up with the solution that satisfied the demand expressed by this market. Yet Carney turned Hayek’s reasoning on its head. According to Carney, it is private market actors who demonstrate this pretence of knowledge as they believe they know what is right for them or what the market actually demands! He seems to assume (wrongly) that economic agents believe they are omniscient and not aware of the uncertainty inherently linked to the economic decisions they take. Hayek would turn in his grave. He would probably tell Carney that market outcomes are the result of millions of individuals who acted on different assumptions, different risk-assessments, different knowledge and skillsets, and that this is the aggregation of all those various local variables that lead to a market outcome that can more efficiently coordinate dispersed knowledge, skills and demand than any central authority ever can. He would probably add that Carney keeps mentioning market failures without ever referring to most of the reasons underlying those failures, that is, artificial restrictions and distortions that originate in government activity (…and central banks…). In the end, belief in the second lie that “markets always clear” meant that policymakers didn’t play their proper roles in moderating those tendencies in pursuit of the collective good. And how would you even know how to ‘moderate’, or simply how to identify, those negative tendencies, Mr Carney? And how do you define what this so-called ‘collective good’ is? ‘Pretence of knowledge’ you said? Despite these shortcomings, well-managed markets can be powerful drivers of prosperity. Carney’s last ‘lie’, that markets are moral, suffers from a lack of arguments. He seems to base most of his ‘markets are amoral’ rhetoric on recent examples of price-fixing in a number of rates and commodities markets. He is right that fraud is reprehensible. Yet, in those cases, it was not markets that were to blame, but a few abusers who tried to benefit at the expense of the markets. Here again Hayek would argue that there is nothing more ‘moral’ than unhampered markets that distribute services to those that need them and reward those that provide them, within the framework of the rule of law. At the end of his speech, Carney introduces the recent BoE initiative to open a forum on re-building ‘real markets’ (his emphasis again). You want ‘real’ markets Mark? Just release them from their constraints. It’s as simple as that. Nice analysis of Carney. He doesn’t say much is different from what most mainstream economists say. Their remarks reveal their closet socialism. The whole point of building mainstream econ around equilibrium is to make equilibrium the ideal and then assault the free market for not achieving that ideal. Market “failure” is the market’s inability to achieve equilibrium and that justifies state intervention. But real economists have always understood that the real world never gets close to equilibrium because it’s a fiction intended to be used as a foil. Carney is just another pimp for what Lenin called market socialism, the brand of socialism he implemented in the USSR. I think there are still quite a few mainstream economists who believe in free markets! I agree, such as Sowell. The problem they have is that their economics is working against their free market ideas. As long as they hold to equilibrium and perfect competition they promote market “failures.” Opponents use the authority of mainstream economics to push for the state to correct such failures. Milton Friedman had that problem with his monetarism. He told people that it would be best to have the Fed follow a mechanical process of money creation, but all people heard was that the money supply determines the economy so the Fed can save us with money printing anytime there is a recession. Friedman’s own economics undercut his support for free markets. His view evolved over time and he became a free market adherent around the end of his life. But unfortunately most people just remember his 1950s and 1960s solutions.